Biography* � Billy Culpepper, of Athens, TX, believes that Mary Jane Hannah and Robert Hannah were brother and sister. E-mail written 30 Jul 2010 to Warren Culpepper from Cathie Peitzsch-Gibbs, e-mail address. Monteen Culpepper, Dau, F, 0/12, S, GA/AL/AL. ED 33, sheet 14, line 65. 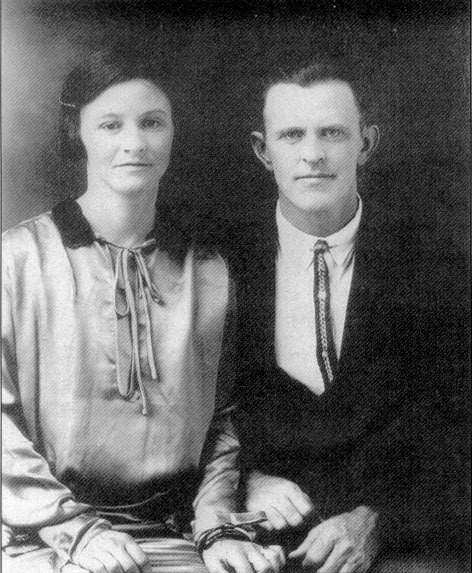 Biography � Billy Culpepper, of Athens, TX, believes that Mary Jane Hannah and Robert Hannah were brother and sister. "King Europe Culpepper's wife remarried after his murder. She married Robert Hannah, son of Margaret (Peggy) Officer Hannah. He was born 1868, and I am not sure who his father was, maybe William E Hardin (the other man that Peggy ran off with in 1867 and left my great great grandfather Martin Hannah in Bradley Co, TN to raise 5 children on his own). Not sure where Robert was born, maybe Ala or GA. Therefore Robert Hannah was Mary Jane Hannah Culpepper's half brother.....shared the same mother. ED 31, sheet 10, roomer of Josephine Riddle. ED 33, sheet 13, line 70. Elmyria E. Culpepper, d. 8 Sep 1974 at 82 years in Walker Co., GA; Res. in Walker Co., GA, 033511. Walker B. Culpepper, d. 2 Mar 1993 at 78 years in Walker Co., GA; Res. in Walker Co., GA.
E-mail written 1999-2011 to Lew Griffin & Warren Culpepper from Metta Maxine Culpepper Barron, e-mail address (Aug 2011). ED 33, sheet 14, line 4. Robert Ellington Torbert, Index to Death Announcements in the Times Daily, 1 Jan 1988 - 31 Dec 1998, USGenWeb Archives, Lauderdale Co., Alabama: "Carl Arvin Culpepper died 22 Apr 1994 in Tuscumbia, AL and was buried 24 Apr 1994 in Macedonia Cemetery (Obituary published 23 Apr 1994)." E-mail written 2006-2007 to Warren Culpepper from Stephanie Culpepper Wheeler (#56020), e-mail address. Biography* � JAMES NEWTON TATE (s/o JOSEPH ISAIAH, s/o ISAAC NEWTON, s/o JOHN) was born August 1867 in Gordon Co., Georgia, and died November 27, 1914. He married LUCY CULPEPPER February 4, 1889 in Gordon Co., Georgia, daughter of DANIEL CULPEPPER and WINNIE KEYS. She was born June 13, 1870 in Floyd Co., Georgia, and died September 22, 1938 in Rome, Floyd Co., Georgia. Census 1: 1880, Living with his parents: Gordon Co., Georgia Sugar Valley page 89D Joseph J. 37 Ga, Lacy A. 38 Ga, James N. 14 Ga, John W. 9 Ga, Martha J. 6 Ga, Joseph L. 4 Ga, Benson 2 Ga. Living next door to Thomas Holsomback. Census 3: 1900, Gordon Co., Ga Calhoun pg 2 Image 4 # 26 James Tate Aug 33 m11 yrs Ga Farmer, Lucy C. June 1870 29 (Children 4 - 3 living) Sarah Dec 1889 - 10, Elizzie W. Feb 1894 - 6, Lee M. Jan 1897 - 3. Census 4: 1910, Resaca Gordon Co., Ga page 201B: # 166 Newton Tate 42 married 21 yr Ga, Lucy 38 married 21 yr 8 children 7 living Ga, Lizzie 16 Ga, Mulish (m) 13, Alma 9 Ga, Katie Lou 6 Ga, Minnie Belle 4 Ga, Odessa 1 Ga. Note 1: Joined the church at Fowlers Chapel, Aug 11, 1883 per White Book. Note 2: Georgia Death Index also gives death date as Nov 27, 1914. Note 3: Listed in White Book page 12. Note 4: Per White Book : 1914 Mr. Newton Tate was struck with perralisus Nov 24 and died the 27 an buried at West Union. (Typed as written). Census 1: 1880, Oostanula, Gordon Co., Ga pg 82A: Daniel Culpepper 69 Ga, Winnie F. 53 <1827> Ga, John W. 24, Lucy 10 <1870>, Joshaway 13 <1867> Ga.
Census 2: 1900, Gordon Co., Ga Calhoun pg 2 Image 4 # 26 James Tate Aug 33 m11 yrs Ga Farmer, Lucy C. June 1870 29 (Children 4 - 3 living) Sarah Dec 1889 - 10, Elizzie W. Feb 1894 - 6, Lee M. Jan 1897 - 3. Census 3: 1910, Resaca Gordon Co., Ga page 2B: # 166 Newton Tate 42 married 21 yr Ga, Lucy 38 married 21 yr 8 children 7 living Ga, Lizzie 16 Ga, Mulish (m) 13, Alma 9 Ga, Katie Lou 6 Ga, Minnie Belle 4 Ga, Odessa 1 Ga.
Census 4: 1920, Gordon Co., Georgia Plainville Page 6A: Lucy C. Tate 50 wd, Alma 15, Katie L. 15, Minnie B. 12, Odessa 11, Dorthy M. 7. Census 5: 1930, Rome, Floyd Co., Ga pg 14A: Lucy C. 62 ? Minnie B. 22, Odessa C. 21, Dorothy M. 17 Ga. Note: Have a picture of Lucy. 1. EMMA C. TATE, b. December 1889, Georgia. 2. WINNIE ELIZABETH TATE, b. February 26, 1894, Gordon Co., Georgia; d. June 6, 1946, Walker Co., Georgia. 3. MURLEY L. TATE, b. January 18, 1897, Gordon Co., Georgia; d. November 9, 1968, Rome, Floyd Co., Georgia. 4. ANNIE ALMA TATE, b. August 22, 1900, Floyd Co., Georgia; d. November 6, 1975, Floyd Co., Georgia. 5. KATIE LOU TATE, b. Abt. 1904. 7. ODESSA TATE, b. November 20, 1908, Floyd Co., Georgia; d. May 26, 1995, Polk Co., Georgia. 8. DOROTHY TATE, b. November 18, 1912; d. January 27, 1987; m. JESSIE MAYFIELD. Burial: West Union Baptist Church Cemetery, Gordon Co., Georgia. SSDeath Index: Residence Cedartown, Polk Co., Georgia. Benefit Rome, Floyd Co., Georgia. Lucy Culpepper, Dau, F, S, 10, At Home, GA/GA/GA. Donald Forbes Forsythe, compiler, Gordon County, GA Marriages, Books A – C, Georgetown, TX: , 1994, Repository: LDS Family History Library - Salt Lake City, Call No. US/CAN 975.8362 V29f. Lucy C. Culpepper and J. N. Tate on 5 Feb 1889 in Gordon Co., GA, Book B-399. + Winnie F. Culpepper, 15 Nov 1826 – 5 Mar 1906. + Louisiana E. Stancil Tate, 27 Jun 1842 – 3 Jun 1894. Name given as Fannie in the guradianship petition. Thursday, 18 Mar 1915, p. 7. Name given as Nettie in the guradianship petition. Mittie Culpepper, White, d. 13 Dec 1972 at 68 years in Fulton Co., GA; Res. in Mitchell Co., GA, Cert 040333. 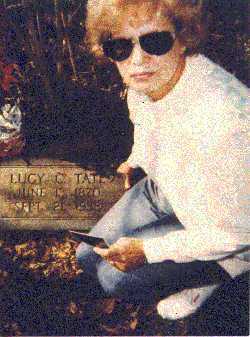 Obituary* 13 Apr 1983� Annice CULPEPPER / MACON, Ga. - Former Lanett, Ala., resident Mrs. Annice L. CULPEPPER, 94, of Macon, died Tuesday at the Medical Center of Central Georgia. The graveside services will be held at 2 p.m. today in West Point (Ga.) City Cemetery, according to Snow's Memorial Chapel funeral home in Macon. 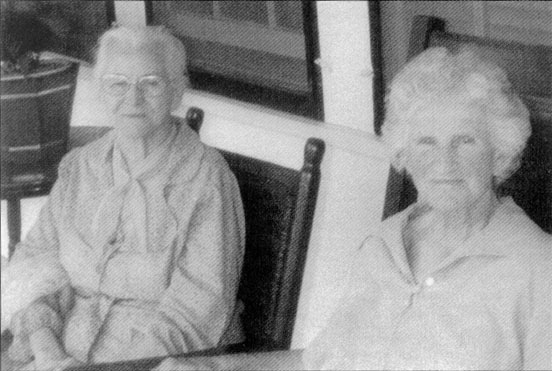 Mrs. CULPEPPER was born Jan. 29, 1889, in Chambers County, Ala., daughter of Mr. and Mrs. George William SIDES. She was a memberof the Order of the Eastern Star and the Druid Hill Baptist Church in Atlanta. She was the widow of Jessie Mercer CULPEPPER. She had lived in Macon 10 years after moving from Lanett. Annice S. Culpepper, d. 12 Apr 1983 at 94 years in Bibb Co., GA; Res. in Bibb Co., GA, 012397. E-mail written Oct 2010 to Warren Culpepper from Edyth Diane Culpepper (#42282), Perry, GA, e-mail address. Obituary of Milton L. Culpepper (#6558), published 27 May 2013. Richard C. Culpepper, d. 5 Oct 1952 at 6 years in Houston Co., GA; Res. in Houston Co., GA.
Ada L. Culpepper, d. 2 Nov 1971 at 64 years in Peach Co., GA; Res. in Houston Co., GA.
Steven Frederick Culpepper records, Steven Frederick Culpepper (#5281) to Lew Griffin. Marilyn E. Culpepper, 6 Sep 1927 - 1 Jan 1996, Wife of James Trevor Culpepper, Interred 4 Jan 1996 in Ft. Snelling National Cemetery, Section N, Site 4106. MyFamily.com Inc., compiler, Minnesota Death Index, 1908-2002, Online database at Ancestry.com, 2001. James T. Culpepper, born 1 Jan 1900 (sic), died 21 Jul 1972 in Hennepin Co., MN. Mother's maiden name: Watson. Steven Frederick Culpepper, Male, born __ 1948 in Harris Co., Texas, child of James Trevor Culpepper and Marilyn Elizabeth Loeb. Judith Ann Culpepper, Female, born __ 1949 in Harris Co., Texas, child of James Trevor Culpepper and Marilyn Elizabeth Loeb. MyFamily.com Inc., compiler, Minnesota Birth Index, 1935-2002, Online database at Ancestry.com, 2004. Karen Jean Culpepper, born __ 1952 in Hennepin Co., MN, daughter of James Trevor Culpepper and Marilyn Elizebeth Loeb. Barbara Lynn Culpepper, born __ 1956 in Hennepin Co., MN, daughter of James Trevor Culpepper and Marilyn Elizabeth Loeb. James Daniel Culpepper, born __ 1959 in Hennepin Co., MN, daughter of James Trevor Culpepper and Marilyn Elizebeth Loeb. Corinne Marie Culpepper, born __ 1967 in Hennepin Co., MN, daughter of James Trevor Culpepper and Marilyn Elizebeth Loeb. Illa Louise Culpepper and William Robert Michal Jr. are the parents of Jimmy Louise Michal, Female, born __ 1943, and Patricia Gayle Michal, Female, born __ 1947, both in Harris Co., Texas. E-mail written Jul 2006 to Warren Culpepper from Robert Alan Michal (#54729), e-mail address.